Weddings are one of the biggest moments in a person’s life. I may be a non-traditionalist who thinks you should do whatever you want on your wedding day and whatever is right for you, but I’m also someone who knows it’s a huge deal, no matter how you do it. From courthouses to backyards to the most elegant wedding venues in the world, no matter how you do it, weddings and marriage represent the love you have with another person and making the commitment to keep that love going for life. Lisa and Alicia’s wedding was a destination wedding up in northern Arizona and filled with little details and things they loved. They even handmade the concrete pots to put their succulents in for their wedding guests to take. Lisa and Alicia poured themselves into their wedding…and then mother nature poured on them. Everything at their wedding was to take place outdoors, but we were hit with serious rainfall that wasn’t on the weather forecasts. It was a mad scramble to move everything indoors…and then the venue lost power. No backup. But weddings are really about the love you have with the other person, and you can’t stop these two. Not only did the rain let up just long enough (except for a light sprinkle) to do their wedding ceremony outdoors, but they rallied around each other and their loved ones rallied around them. Lit by cell phones (and my flash in the photos), they pressed on and had a first dance. I can honestly say it was my favorite first dance I’ve ever photographed. They earned it, they deserved it, and it was so symbolic to see their loved ones be part of making it possible. Still, it crushed a lot of us to see them have to have this experience. So, their planner, Ashley with Honey & Shaw, did her thing and set up a surprise redo reception at Gather Estate and we all chipped in and gave it to them. These two love each other and their kids so well, so it felt great to give them something they deserved. On a side note, if you have a chance to hire Ashley and Honey & Shaw, do so in a heartbeat. Seeing her have her clients back like that was a joy to see. Same goes for Gather Estate, or the other incredible vendors listed below who contributed to the makeup reception. Below are some of my favorite images we got at their wedding and the reception redo. 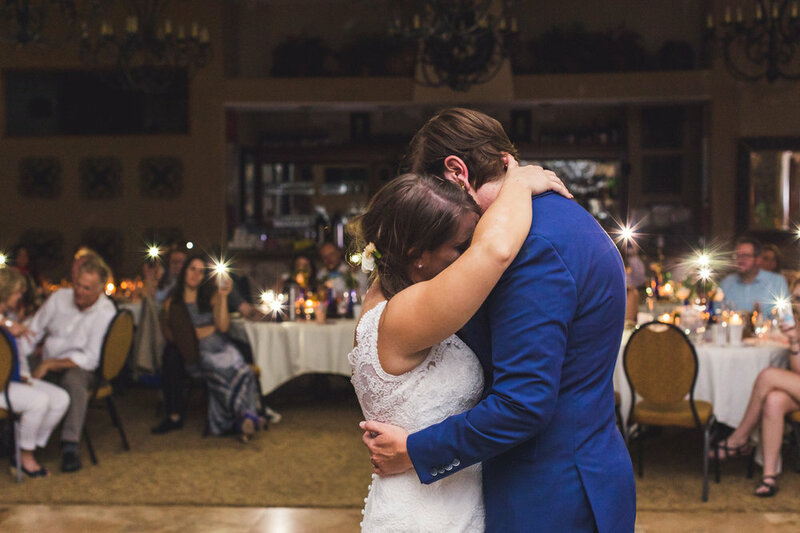 Cell phone first dance included. You deserve the wedding (and wedding photographer) of your dreams just like Lisa and Alicia. Let me help you with that part! Contact me below and let’s have fun together.